The beautiful, family-friendly climbing gardens in Pitztal guarantee a fun experience in nature for the whole family! 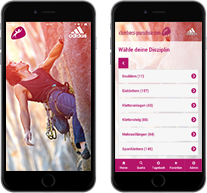 Jerzens-Hochzeiger climbing garden: The Jerzens-Hochzeiger climbing garden provides several easy routes from the second to fourth difficulty grade and is therefore perfect to start climbing. On the so-called “Pitzi climbing rock”, there are two easy via ferratas for beginners to train. Children can play on a rope bridge or on a rock with artificial climbing holds. Sheltered seating possibilities are inviting for breaks between the climbing. Children who own the “Pitztaler Freizeitpass” – a leisure pass – can join the regularly occurring climbing programs for free. Gletscherstube climbing garden in Mittelberg: For a special climbing adventure close to the Pitztal Glacier, visit the Gletscherstube climbing garden in Mittelberg which is very family-friendly. The view onto the close-by glacier is simply magnificent. The Gletscherstube restaurant offers delicious regional meals. Richi’s Wall climbing garden in Stillebach: The Richi’s Wall climbing garden in Stillebach is rather small, but nonetheless very beautiful. There are short 14 routes which are also recommended to families with children. You can also come here for only half a day. Afterwards you can relax at the small bathing pond in Stillebach.